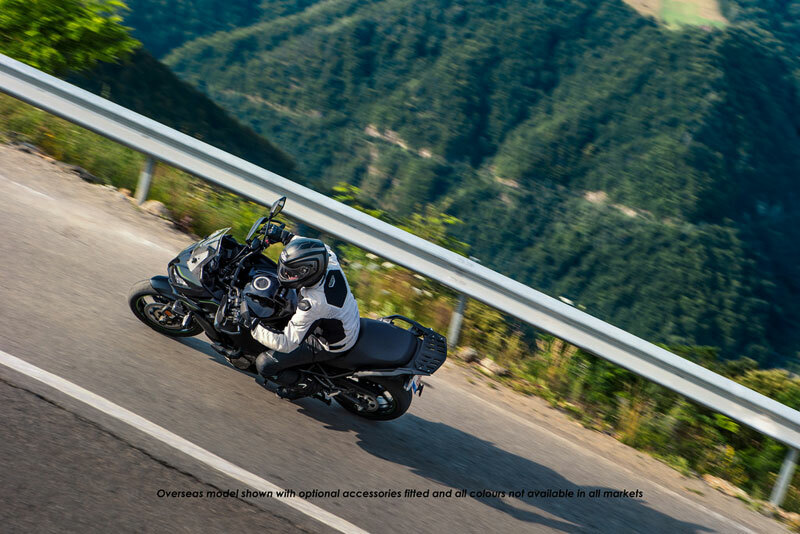 Deep cushioning and tailor-designed seat material offer superb comfort for long-distance riding. 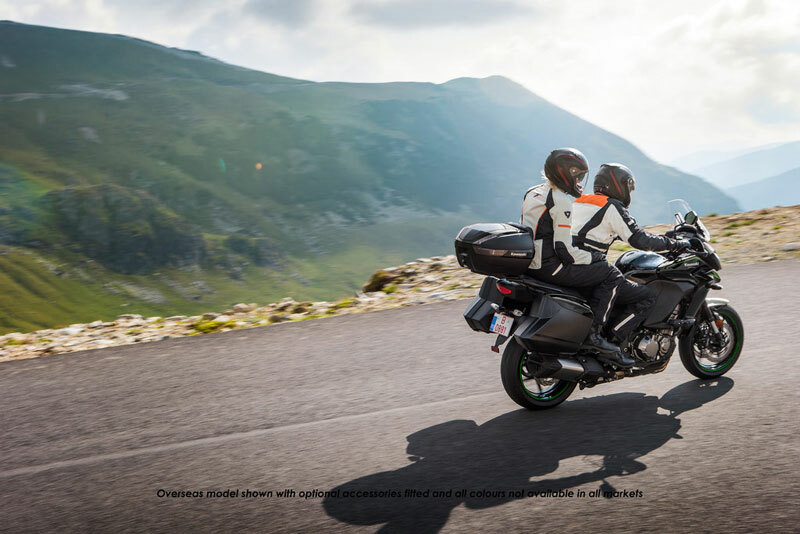 The seat's slim desing and the knee grip characteristics of the tanks afford good freedom of movement, allowing the rider to change sitting position. Thick urethane increases comfort and contributes to a seat height that places the rider in a position of fun controllability. The rear seat is sculpted to support and "lock-in" the pillion. 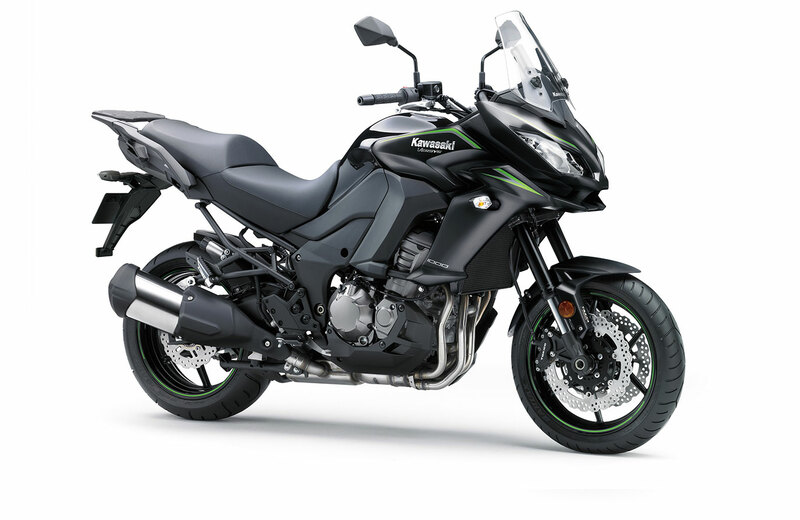 Kawasaki's most comfortable and secure pillions seat on a sports touring bike. 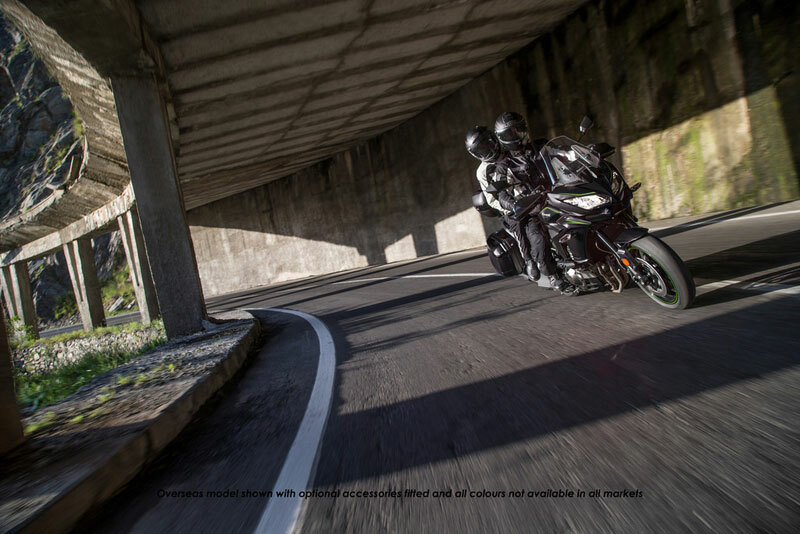 The centerstand on the 2017 VERSYS 1000 is a standard feature, offering increased utility and facillitating maintainence work. 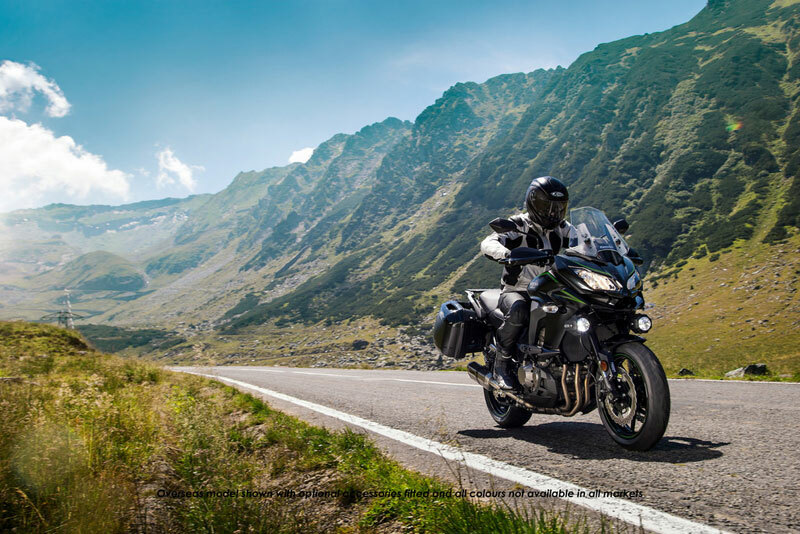 A true sports touring bike feature, the centre stand. Larger, ø310mm front petal discs gripped by opposed 4-piston calipers deliver stronger stopping power with good brake touch and feel. The revised brake pad material offer stronger initial bite. 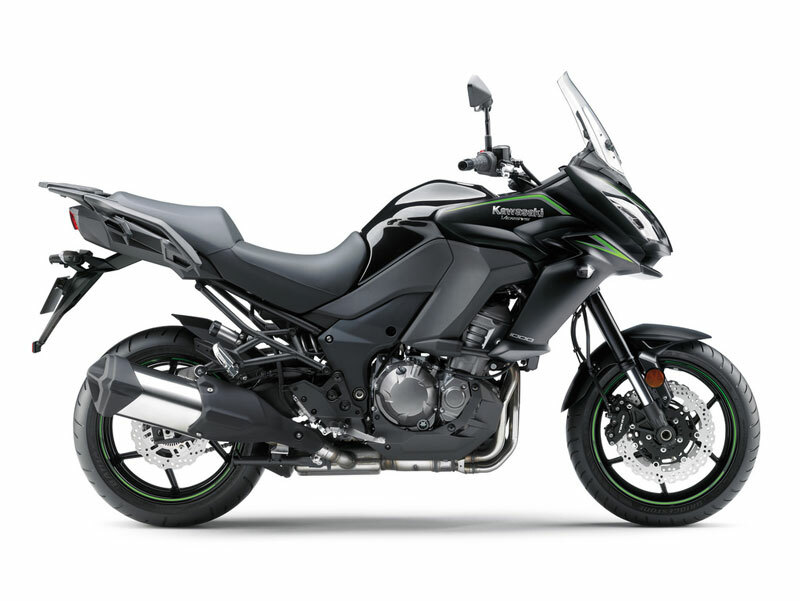 The latest-spec ABS is a standard feature on all VERSYS 1000 models. The high-spec ABS unit is ultr compact, very lightweight and enables high precision ABS control. 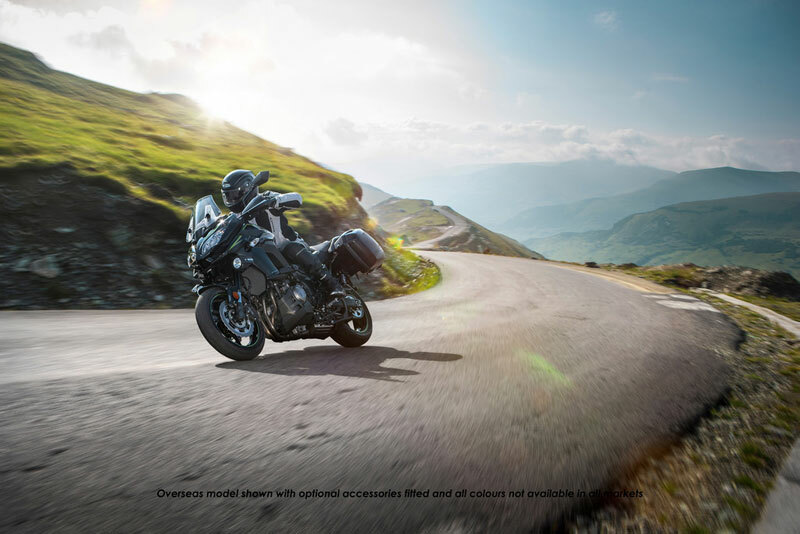 True to the VERYS 1000's envisioned riding environment, ABS settings are designed to facillitate controlled braking in a variety of street riding situations. 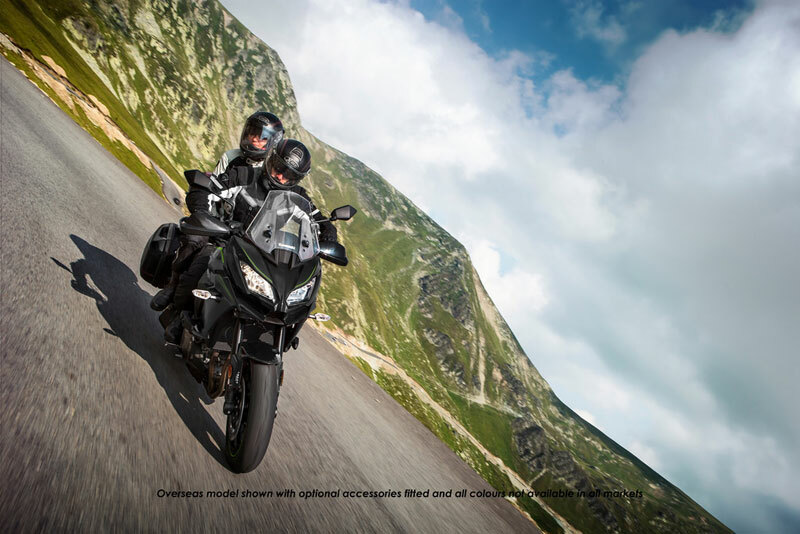 The VERSYS 1000 design package blends style, wind protection, aerodynamics and airflow management. 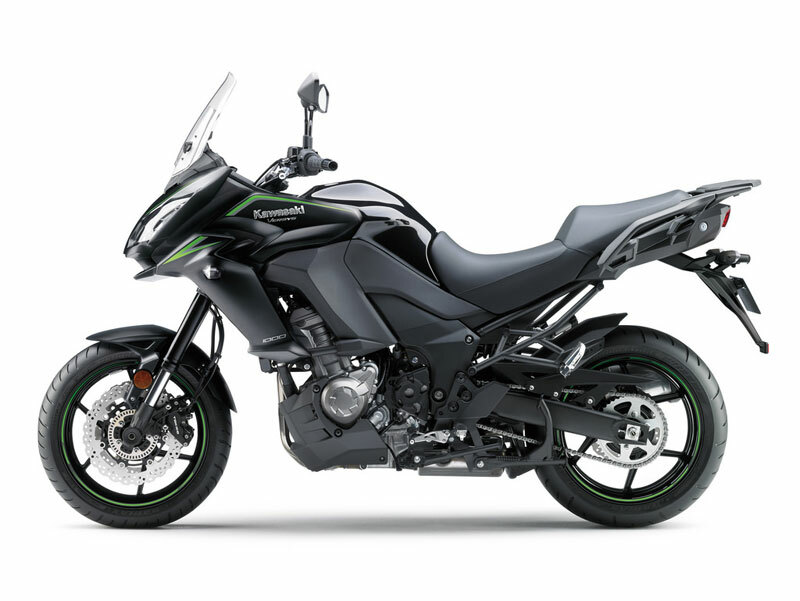 The new twin headlamp design contributes to strong Kawasaki looks, while reflecting the VERSYS 1000’s abundant potential for fun, sporty riding. 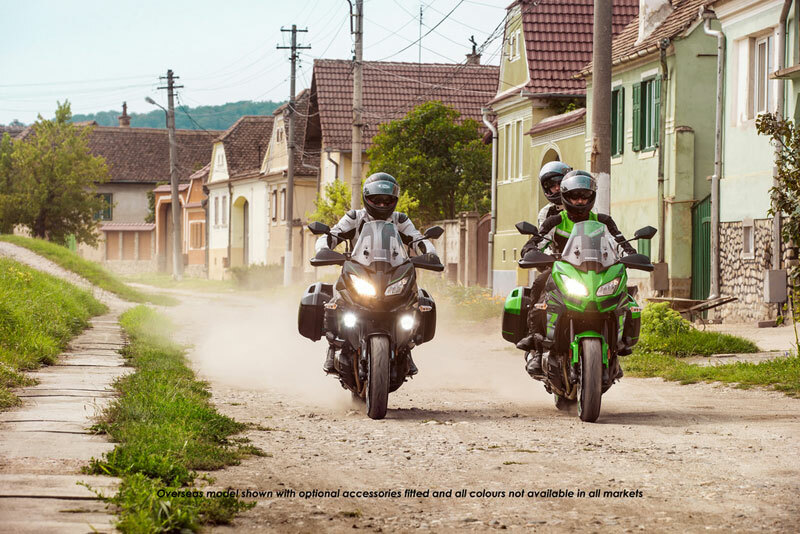 The sporty good looks give the VERSYS 1000 a stronger identity, and show the exciting sport riding offered by the nimble chassis and exhilarating in-line four engine. The upper Cowl features a horizontally split design that is compact and sporty. 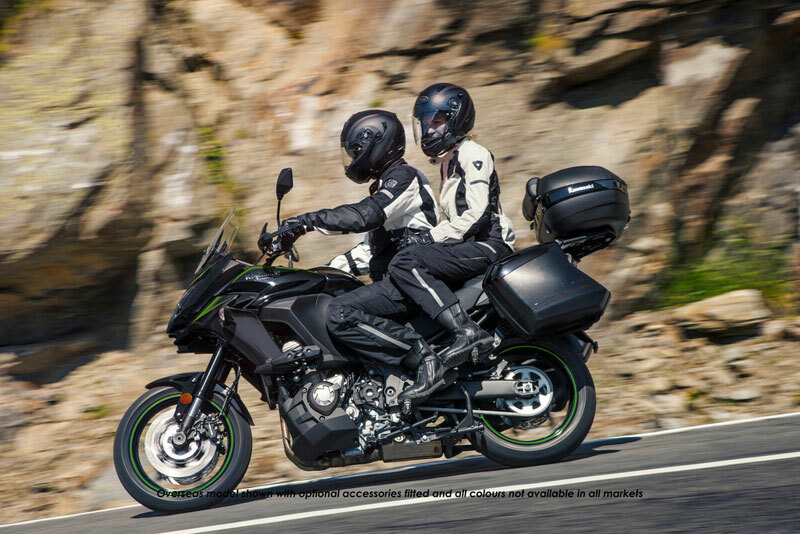 The VERSYS 1000 face is now adorned with twin headlights arranged horizontally. 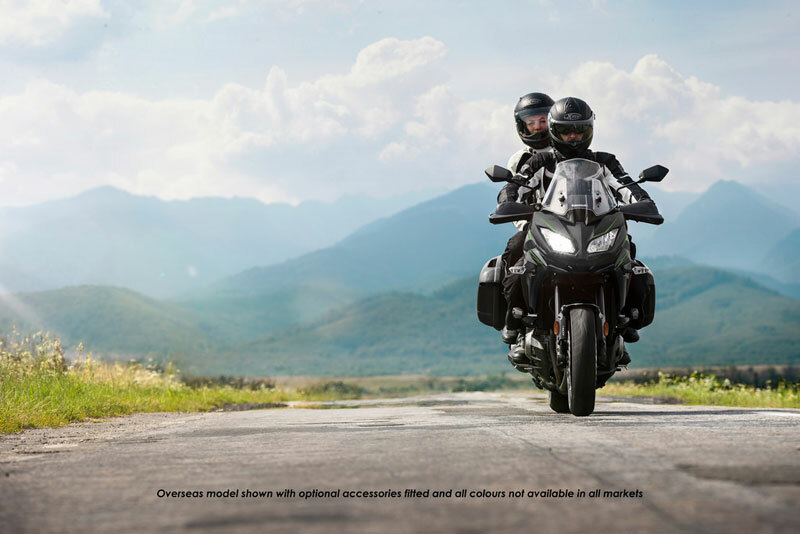 The aerodynamic chin spoiler is both functional and superbly stylish, creating a front face that calls to mind a wicked grin of fun that will resemble you own smiling face as you ride the 2018 VERSYS 1000. 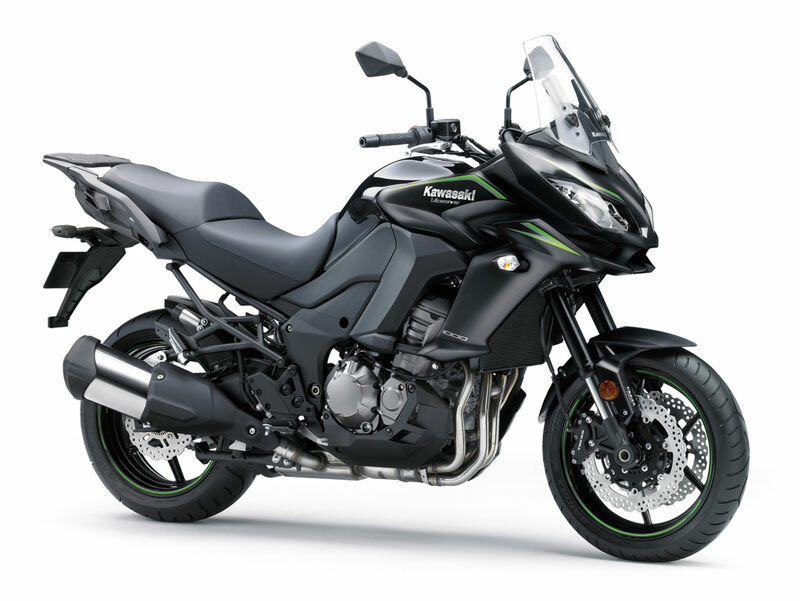 Aluminium twin tube frame design features frame beams that go over the engine, allowing a narrow construction that is easy to grip with your knees. 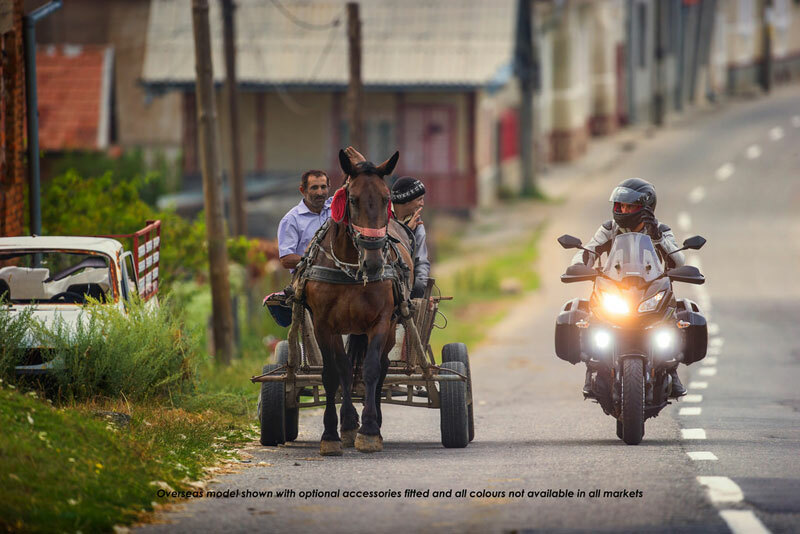 Lighweight and highly rigid, the frame uses the engine as a stressed member. It contributes to handling, offering a firm, planted feel, good stability and light, nimble turning. 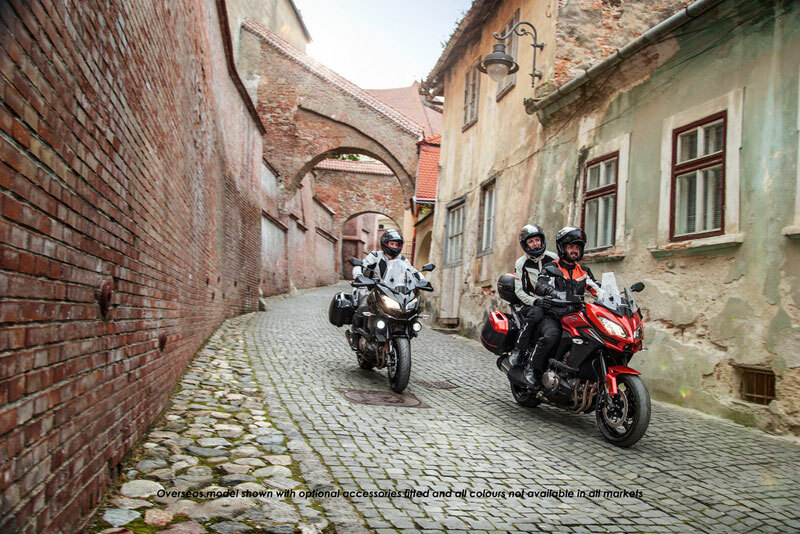 Setting the caster angle to 27° contributes to a good balance of high speed stability and neutral handling character that suits sporty street riding. 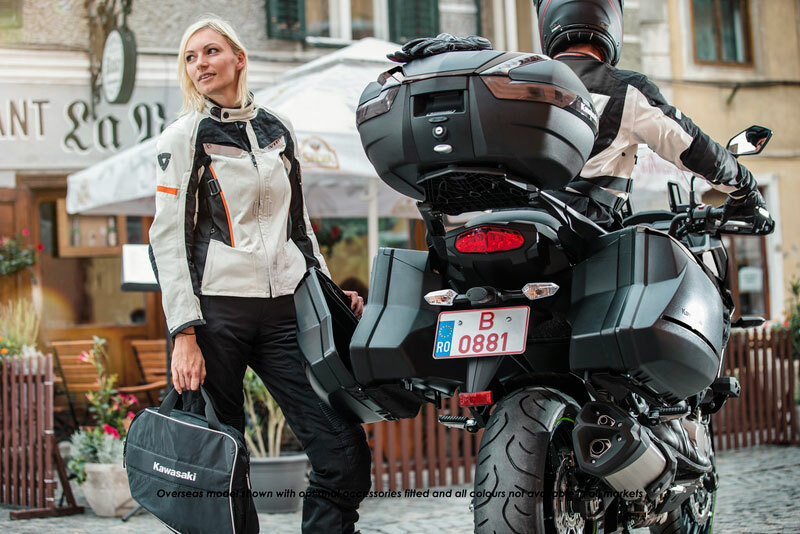 The mounting system for the accessory panniers allows the panniers to be attached and removed very simly, contributing to increased convenience. 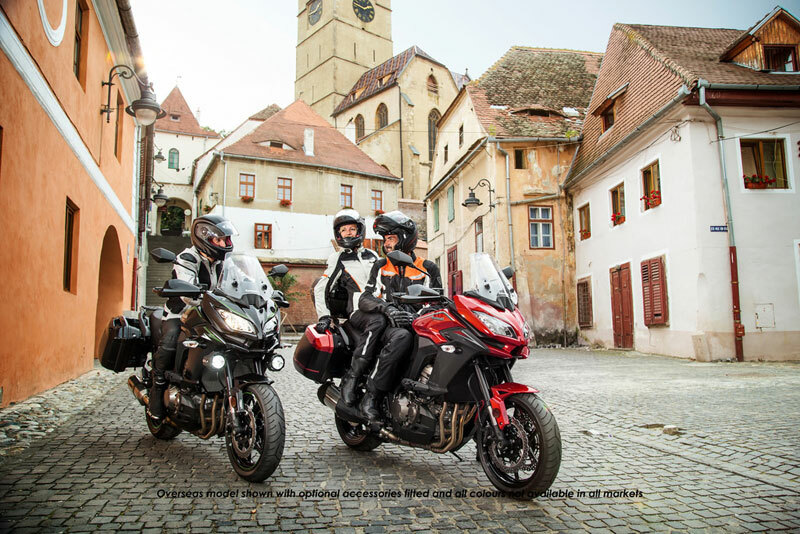 Completely revised to allow the panniers to be better integrated with the rear of the bike, the clean mount system positions the panniers much closer to the bike centreline and thanks to the clean, clutter-free design, ensures the rear of the bike looks good with the panniers removed. (Available as accessory). 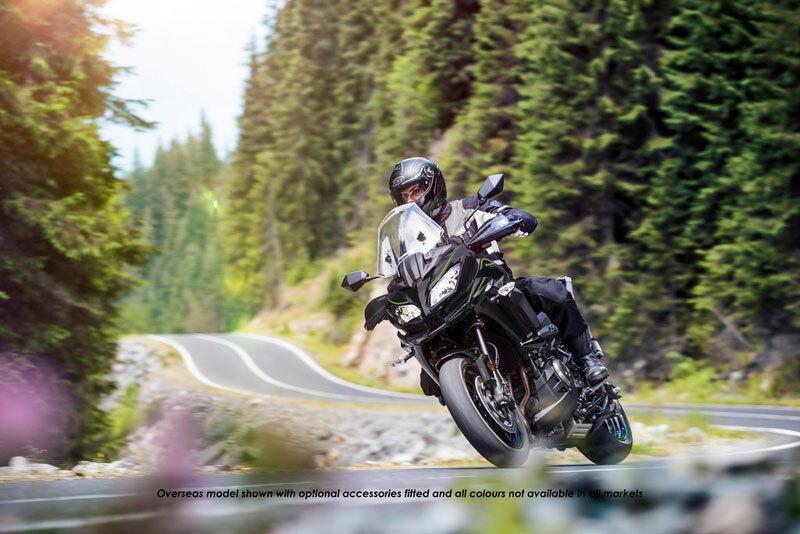 Colour matched covers and details add to the high end finish of the Versys 1000. Rebound and compression damping are about 30% less than on the previous model. 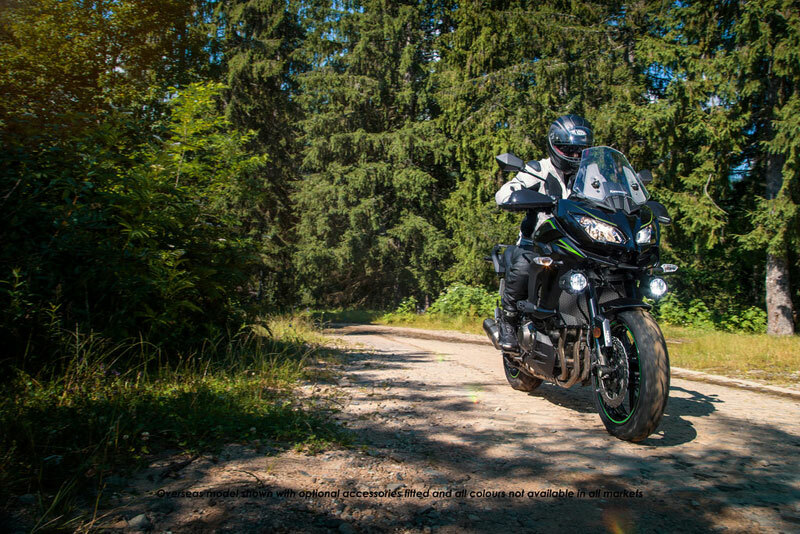 The more supple suspension setting contributes to improved rider comfort. Longer outer tubes (20mm longer) increases fork rigidity. 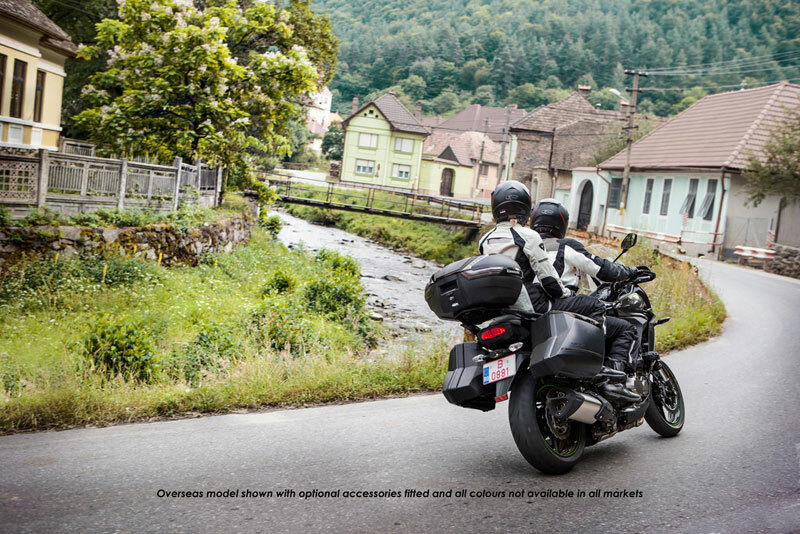 A remote preload adjuster means changes to suit two-up riding or luggage can be made easily and by hand. Robust steel pipe rear frame enables the substantial payload of 220kg. A lightweight resin rear carrier (6kg capacity) is fitted as standard equipment. An accessory top case (and mount) can be fitted. The top case is rate to 5kg and the 47L size is large enough to fit two full face helmets. Colour coded accessory panels enhance the look of the bike. 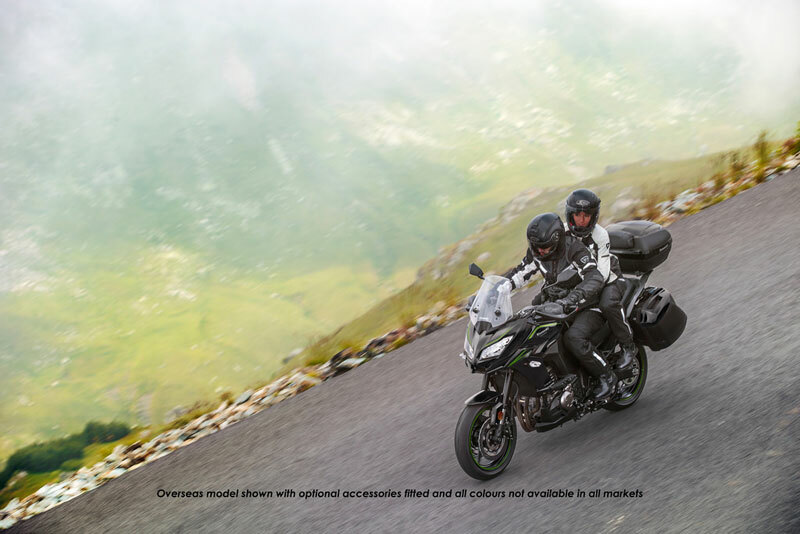 The wide handlebar offers easy control, especially at low speed manoeuvring. Positioned to offer natural grip, it allows the ridier's elbows to be slightly bent when sitting in a relaxed, upright stance. 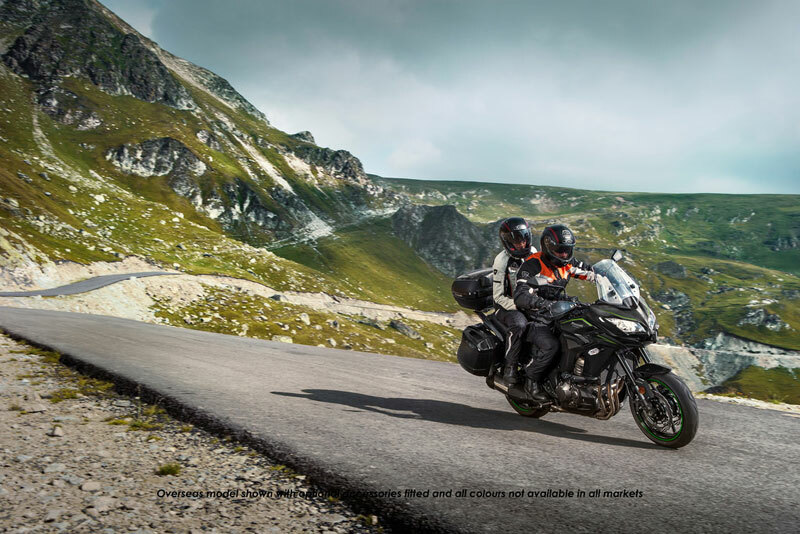 Using high-precision electronic control for engine management, Kawasaki models can achieve a high level of fuel efficiency. 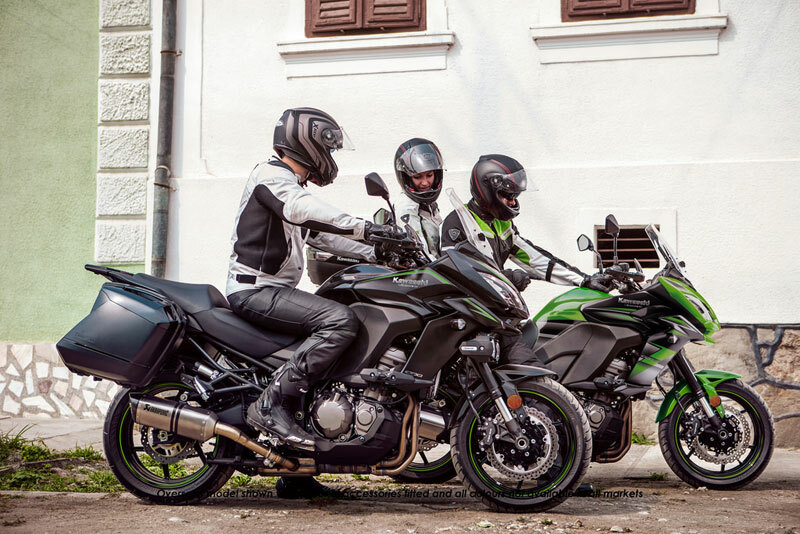 However, fuel consumption is greatly affected by throttle use, gear selection, and other elements under the rider's control. 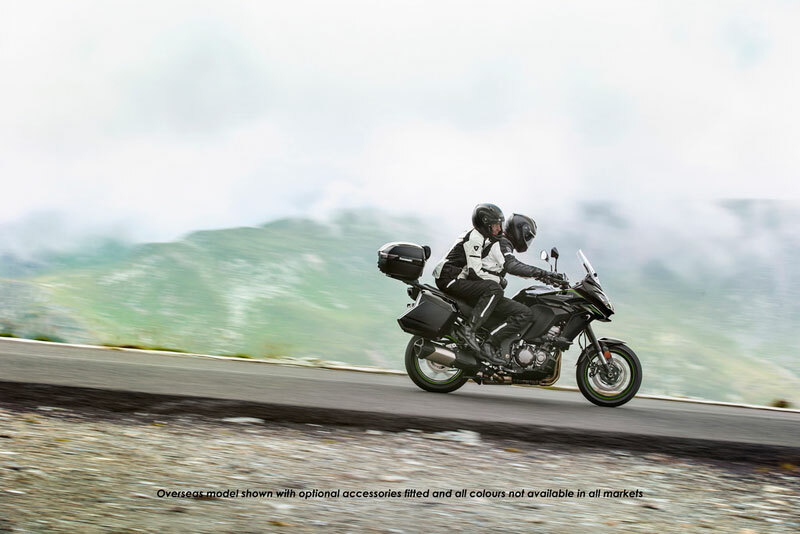 The Economical Riding Indicator is a function that indicates when current riding conditions are consuming a low amount of fuel.